I’ll be honest, I was quite excited at the list of names coming in to Vicarage Road over the summer of 2001. Vega, Hughes, Glass, Gayle. All players with Premier League experience. Add to that the exotic (for Watford) Galli & Blondeau and expectations were high going into the season. Of course, led by the charismatic Gianluca Vialli who had already won trophies as manager of Chelsea, nothing could go wrong, could it? The Premier League and the injection of cash from Sky had seen clubs’ spending go through the roof. Little ole’ Watford had never had the resources to match that. However, now armed with parachute payments from the 990 jaunt to the top flight and the promise of bundles of money from the newly signed ITV Digital deal, the Hornets board were handing over wheelbarrows of moulah to Mr. Vialli to spend, spend, spend. Given the Italian influence currently in place at the Vic, the Vialli season has been oft discussed over recent months. But there are 3 games that I remember in particular. If only, for resetting my expectations. Downwards. I travelled up to Maine Road, full of optimism. Clash of the Division One titans on the opening day of the season and live on the ITV Sport channel. In my old university stomping ground too. It all felt like it was coming together nicely……. OK. 3-0. Taught a bit of a lesson. But hey, a big home crowd behind them, a manager who’s last job was England, that could have been our toughest game out of the season already. We still had another 45 games to get enough points to reach the promised land. One week later. Rotherham. New to this level. Easy…. Well we won. But it was never comfortable. This group of stars didn’t look like a team. They seemed uneasy at this level. Maybe the route to glory wasn’t going to be as easy as I thought. And so it proved to be. Wind on to New Years Day 2002. Millwall at home. An inept display as any I’ve witnessed at Vicarage Road. A 4-1 home defeat. A red card for Vega. A complete capitulation. And from there, it all petered out. The last 4 months all seemed rather pointless. Not going up. Not going down. Not showing any signs of having anything to build on. And by the time players were heading back to their clubs for the following pre-season, both ITV digital and Vialli were gone. Whilst both knew they were not able to attract the very best, instead they threw cash at what they thought was the best available. But neither could get it to work and failed miserably. 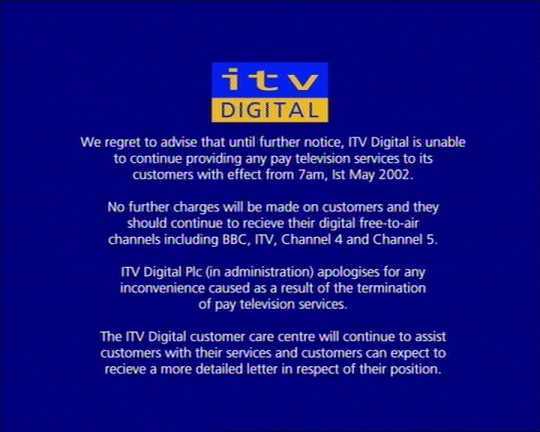 ITV Digital went into administration and Watford FC only avoided the same fate by the narrowest of margins. 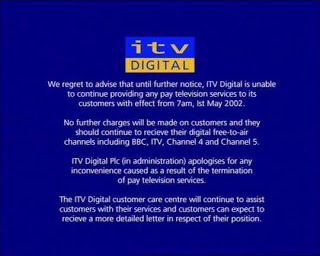 We weren’t the only ones to get dollar signs in our eyes at the prospect of the ITV cash, only to be burnt when it all went wrong. Delia Smith claimed Norwich City had a £2m hole in their budget when the deal collapsed. Bradford City went into administration, still struggling after two years of big spending in the Premier League, followed by missing out on the promised money from ITV that was supposed to accompany their return to the Football League. Bury also went into administration that season and many other clubs suffered after spending the non-existent cash. And so into 100 objects the ITV Digital Set Top Box goes. It came into our footballing lives full of promise and excitement, but disappeared so quickly. Just like our Italian Job (Part I).